Jennifer Hawker (chaplain) and Toby (therapy dog), Mandy Dilabio (chaplain) and Bella, Luan Cryne (chaplain) and Leena, Matthew Johnston (chaplain) and Comet, Noelene Mercer (chaplain), Laura Miller (chaplain). If you’re in the Ellenbrook area, don’t be surprised to see the wagging of a tail in the school corridor. Therapy Dog programs are going to be launched in seven schools in the area this year. 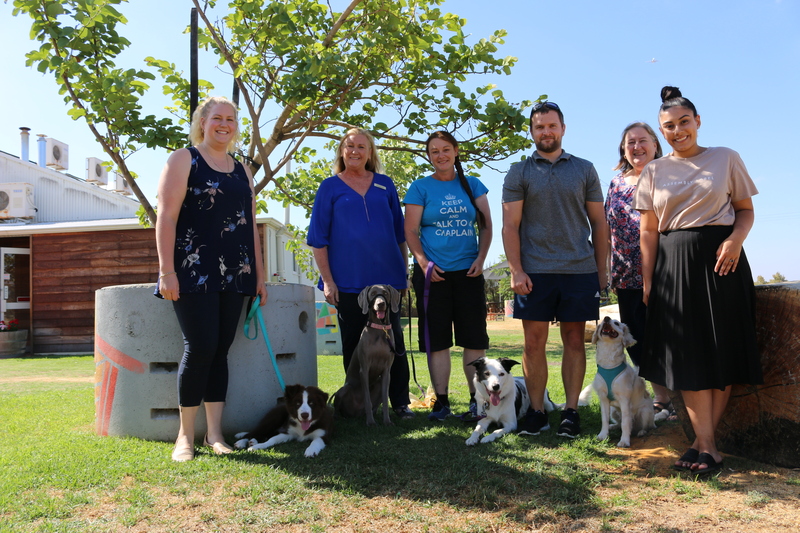 The programs started with school chaplain Mandy and her dog Bella, followed by chaplains Jennifer, Luan and Matt with their dogs Toby, Leena and Comet. “Not just any dog can be a Therapy Dog; we have to go through a five-day intensive training program with them where we’re taught what is expected of the dog and how to handle different situations. We need to make sure students are safe and our dogs are friendly and approachable,” said Mandy. The schools have welcomed their new furry friends and chaplains can’t wait to use them as they deliver pastoral care to students and staff. “I’ve seen how a therapy dog has an ability to break down walls with students that we sometimes can’t do on our own. They’re like a magnet and students want to approach us! The dogs help us connect with students and have those difficult conversations,” said Jennifer.